Average 4.3 / 5 out of 80 total votes. The Human Emperor and his opponents were embroiled in a 33 day long final battle involved the strongest experts. After destroying the Abyssal World and sealing the Abyssal demon king’s godly weapon‘ a mysterious purple card disappeared into the space-time vortex‘ and tunneled through infinite space-time. 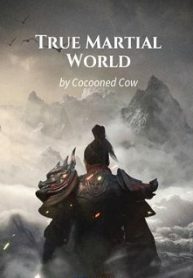 In the vast wilderness‘ where martial arts was still slowly growing in its infancy‘ several peerless masters tried to find their path in the world of martial arts. A young adult named Yi Yun from modern Earth had unwittingly stumbled into such a world and began that journey with a purple card of unknown origin. It’s a magnificent yet unknown true martial art world. This is the story of a normal young adult turning into a legendary peerless expert.